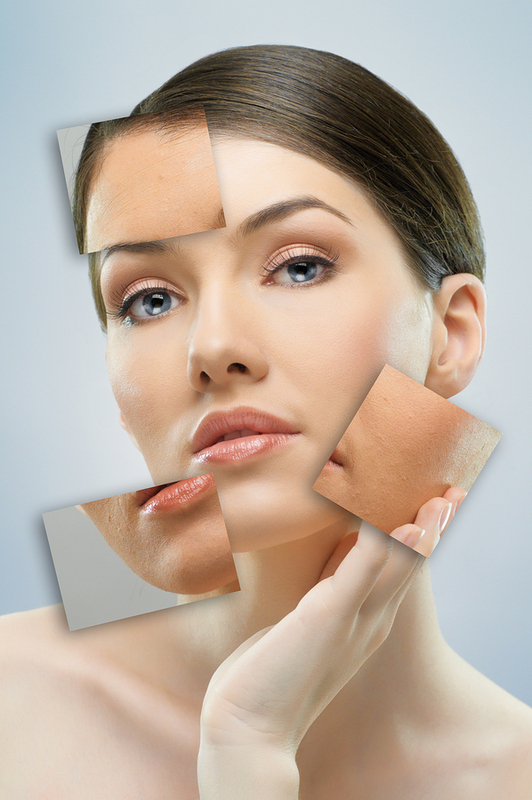 Blotchy, uneven skin doesn’t have to be something staring back at you in the mirror. Being able to precisely treat sun spots, age spots, fine lines and wrinkles, rosacea, redness and even small facial veins and skin blemishes is something we take pride in at Pure Gold. We are proud to offer the BBL (broadband light) treatment. Photodynamic therapy with BBL is an expert laser treatment that is state of the art, innovative and highly effective. It specifically targets sun-damaged skin and can remove pre-cancerous zones, prevent cancer, reduce fine lines and wrinkles, improve skin texture and pigmentation, reduce pore size and treat acne. A medication is applied to the skin’s surface, followed by a low intensity light that activates the medication and treats the damage. Depending on the amount of sun damage, fine lines, redness, acne and/or facial veins several treatments are usually necessary to achieve the best results. BBL treatments are specifically designed to provide a quick and easy ‘social’ downtime. For the first few hours you may be a little red. You’ll probably notice that previously highly pigmented (dark) areas may become darker after treatment and will slough off in about ten days or so. But don’t worry, makeup can be applied immediately after the treatment to help conceal any discoloration. Aftercare instructions will be discussed with you before and after treatment, and the office is just a phone call away if there are any questions or concerns. You’ll also be given aftercare instructions to take home with you. Certain topical products may be recommended for pre and post treatment to ensure optimal healing and results.